To accommodate our wine enthusiasts. Wine enthusiasts trust us with their collections. When your wine collection requires moving or storage it is essential that your wine handlers are experienced and trained. William C. Huff Companies is long established in the wine moving and storage field. 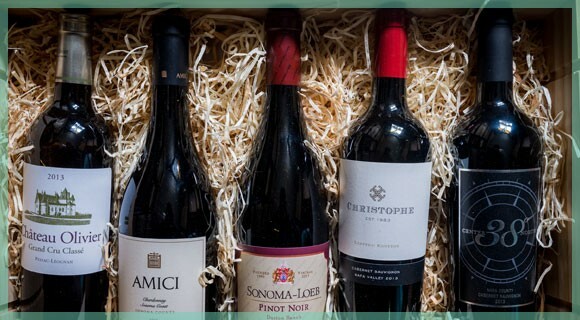 We provide you with skilled and trained wine packing and shipping professionals who can inventory your wine collection to ensure a safe and accounted-for arrival. Senior staff at William C. Huff have had training by the owner of one of the country’s largest wine academies, Claude Robbins. Knowing the difference between a Chateau Lafite Rothschild and a Napa Valley cabernet is paramount for handling and storing. Many wine enthusiasts trust William C. Huff Companies with their private collections. Our wine storage is temperature and humidity monitored 24/7, and automatic alerts are sent if there is any variance of more than 5 degrees. Storage for short or long term needs for private collections. William C. Huff Companies securely monitors our storage facilities 24/7. Public access is never granted to our wine storage area. William C. Huff only uses our own trained staff and vehicles for transporting clients collections, unlike some companies who “3rd party” the wine collections and sometimes lose control of the shipment, resulting in spoiled wine. Interested in our wine collection moving & storage services?